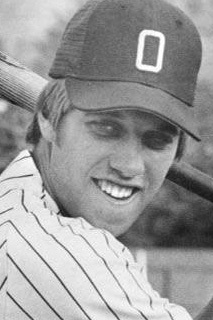 After an accomplished college football career, John Elway was drafted by the New York Yankees in the 2nd round of the 1981 MLB Draft. Elway spent the summer of1982 playing for the Oneonta Yankees of the New York‐Penn League. He would hit .318with 4 home runs and 25 RBI in 45 games. Elway would go on to have a Hall of Fame career as quarterback for the Denver Broncos in the National Football League, leading his team to six AFC Championship Games and five Super Bowls, winning his last two. In 2004 he was elected to the Pro Football Hall of Fame.